COMPARE AND SECURE THE BEST MORTGAGE RATES IN TORONTO USING OUR MORTGAGE RATE COMPARISON SERVICE! The Kanetix® mortgage rate comparison platform is the first and only service in Canada where customers can browse and secure the best mortgage rates from the comfort of their own homes! Access our free database of mortgage products, and when you're ready, click to secure a rate - all done online, no paperwork required. You'll even benefit from a rate guarantee period outlined in your rate guarantee mortgage certificate (subject to terms and conditions of our partner mortgage brokers and lenders). It's the quickest and most simple mortgage process you'll ever encounter! Also, try out our easy-to-use mortgage payment calculator to get a grasp of how different mortgage payments impact the total cost over the lifetime of your mortgage. Play around with the mortgage amount, payment frequency, amortization, and interest to build out different scenarios before obtaining a mortgage. This calculator is a must to ensure that you're getting the most out of your mortgage. 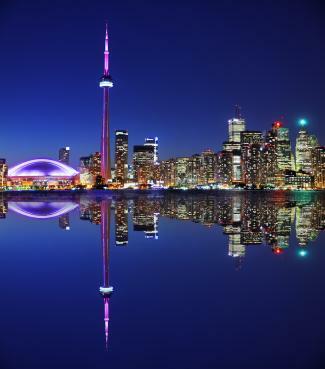 Many people dream of purchasing a home in Toronto, the largest city in Canada. Given the high price of homes in the region, obtaining a mortgage is essential to making the dream become a reality. Various lenders provide Toronto residents with mortgage financing including: chartered banks, credit unions and trust companies. Residents of Toronto can also choose to work with brokers who are accredited mortgage professionals that deal with several different lenders. When you take out a mortgage, a loan is made to you and you become responsible for paying it back including interest. The payment that you make on a mortgage is split into interest and principal components. While the interest component covers the interest fees, the principal portion goes towards reducing the balance of the mortgage. Given that there are so many lenders and mortgage brokers in Toronto offering different mortgage products, shopping around for the best mortgage becomes increasingly important. Just like shopping around for shoes will help you save money and find a pair that fits best, shopping around for a mortgage will help you find a mortgage loan with a low rate that best meets your needs. Do comparison shopping online. Calling and visiting several lenders/brokers to enquire about rates can be pretty time consuming. Use the Kanetix rate comparison service instead. Let us do all the work for you by comparing dozens of different mortgage products offered by various lenders and brokers in Toronto. Not only will you get the best rate on your mortgage loan with us but you will also save a lot of time! Use the services of a Toronto mortgage broker, like those featured through Kanetix.ca. Mortgage brokers work with different lenders and can provide great advice regarding the full mortgage process. The great news is that we work with some of the biggest and most experienced brokers in Toronto. This means that once you're ready to secure a rate, one of our partner mortgage agents will assistant you in obtaining the mortgage and answering any questions that you might have. Learn Learn Learn! It will be so much easier for you to choose the appropriate mortgage product if you're familiar with mortgage terms, options and offers. Check out our Mortgage Information Centre for all relevant content you need to become a mortgage expert! If you don't understand a word or phrase, visit our mortgage glossary. It's free, simple, secure, and takes minutes! When choosing a mortgage, you can go with a closed or open mortgage. Furthermore, you can select a variable rate or a fixed rate mortgage. The decision of whether to purchase a closed or open mortgage will depend on your expected future payment behaviour. While an open mortgage allows you to contribute as much additional cash to it as you want, a closed mortgage will have certain prepayment restrictions. The decision regarding fixed vs. variable rate is slightly more complicated and will depend on several factors including your risk tolerance, difference between variable and fixed mortgage rates, and expected future interest rate changes among other factors. While a fixed mortgage has a set interest rate, a variable rate mortgage has an interest rate that fluctuates with the prime lending rate. Check out Kanetix.ca today to learn more about the different mortgage products you can choose from and browse the lowest rates in Toronto. What is the difference between High Ratio and Conventional Mortgages? Whether your mortgage is considered high ratio or conventional will depend on how big of a down payment you make when purchasing a home or how much equity you have when mortgage refinancing comes up. If your down payment/equity is >20 per cent of the value of the property then your mortgage would be conventional. Otherwise, it would be considered high ratio. For a high ratio mortgage you are required to purchase mortgage default insurance, the cost for which is added to your mortgage balance. The cost of the insurance is generally 1.75 per cent - 2.75 per cent of the mortgage amount. Pre-payment restrictions - Are you getting an open mortgage? If not, what are the payment restrictions? With a closed mortgage there is a limit on the lump sum payments that can be made throughout the year as well as a limit on the allowable increase in the monthly payment. Rate hold - When are you planning on closing the mortgage? What happens if rates change from now until then? Make sure to double check what the rate hold period is to ensure you are protected in case rates increase in the short term. Amortization period - How much can you afford to pay per month? Be aware that adjusting the amortization period will affect the amount of the payment. A longer amortization period will result in a lower payment, however it also extends the date by which the mortgage will be paid off and increases the total interest cost over the life of the mortgage. Payment frequency - How often do you plan to pay your mortgage? Don't simply go with the default monthly payment if you can avoid it. Changing the payment frequency to weekly rapid or bi-weekly rapid will help you pay off your mortgage faster. If you don't understand a word or phrase, visit our mortgage glossary. Credit score - Certain lenders will offer better rates to customers that have a high credit score (and are therefore considered to have a lower risk of default). Mortgage timing - Lenders will often provide special rate discounts if a mortgage is closed within a certain period of time (i.e. within 60 days). It is important to be aware of all the potential factors that could affect your credit score. However, it is also crucial that all information provided for a mortgage application is accurate to ensure there are no issues or delays down the road. Explore all of our mortgage deals at Kanetix.ca today! Kanetix works with the best known and most experienced brokers in Toronto and the GTA. Mortgage agents, as they're often called, are there to assist you along every step of the mortgage process. They will recommend the best products from an affordability and saving perspective. Once you've decided to secure one of the mortgage rates available on our website, a mortgage broker will assist you with the approval and fulfillment process and answer any questions that you might have. Kanetix has chosen to work with mortgage brokers since they are accredited professionals who provide great advice in addition to actually selling a mortgage. The Toronto mortgage brokerages that we work with have many years of experience and can recommend a product specific to your unique circumstances. Sources: Stats Canada and Toronto.ca. In the short term, mortgage rates are expected to remain low. For the rest of 2012, the best one-year posted Ontario mortgage rate is expected to be 3.1 per cent - 3.6 per cent. The five year posted mortgage rate is expected to be 5.0 per cent - 5.4 per cent. In 2013, the one-year posted rate is expected to be 3.5 per cent - 4.1 per cent and the five-year posted rate is expected to be 5.1 per cent - 5.6 per cent. The city of Toronto offers so much to residents and visitors. On the north shore of Lake Ontario, it is bordered by municipalities such as Mississauga, Etobicoke, Scarborough, North York, and Bramalea. Toronto and several surrounding municipalities are collectively known as the Greater Toronto Area (GTA). The city of Toronto, with a population of approximately 2,615,000 (2012 census), is cultural and ethnically diverse, and a place that residents can be proud to call home. Toronto, as the capital of Ontario, has taken its rightful place on the world stage. It is a meeting place for world leaders and advocates. It is an artistic hub, hosting such events as the Toronto International Film Festival. It is the home of respected academic institutions, at the elementary, secondary and post-secondary levels. There are great neighbourhoods, shopping experiences, restaurants and attractions. It is the home of professional sports teams. It is also a place where innovation in all areas of life, science and business are encouraged. There is always something to do in Toronto. 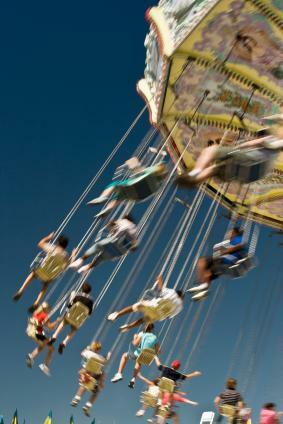 For active people, there are a number of opportunities for sporting activities year-round. During the winter, hiking, skating, skiing opportunities are available. Other winter activities include hockey leagues for children and adults, and public skating on indoor and outdoor rinks. For young children, The Greater Toronto Hockey League provides structured competition and learning opportunities. It is the largest minor hockey league in Canada. For professional sports fans, Toronto is home to the National Hockey Leagues' Toronto Maple Leafs, Toronto Blue Jays of Major League Baseball fame, the Toronto Raptors of the National Basketball Association, and Major League Soccer's Toronto FC. In the summer, parks, trails and water fun is available for young and old. Skateboard parks, splash pads, and public tennis courts throughout the city, providing ample opportunity for individuals to lead an active lifestyle. Beaches in the city limits, such as Echo Beach, are popular with families. There are more than 50 golf courses, both public and private, throughout the GTA that are easily accessible for residents of the City of Toronto. There are a number of community and cultural centres throughout the city, some whose mandate, while inclusive for all, have a particular focus on providing activities and events for a specific cultural group, or for newcomers to the area. Toronto has always been a hub of art, music and culture. The diverse demographic of the city influences its restaurants, its artists, and its way of life. Each year, there are a number of popular food festivals, such as Toronto's Festival of Beer and Taste of the Danforth, to name but two, which are a great way to spend part of your weekend. Food markets and farmer's markets are also a popular fixture in the city. The St. Lawrence Market is one of the busier centres, and offers a great selection of fresh food, meats, prepared foods, and crafts for sale. Cultural festivals such as the Scotiabank Caribbean Festival and music festival such as the Beaches Jazz Festival are welcoming for families. Keep an eye open for other festivals, because there is something available for everyone - every weekend. Toronto is well known for its theatre options. Throughout the year, there are opportunities for families and individuals to see a variety of performances in different genres at theatres like the Princess of Wales Theatre, the Harbourfront Centre, Roy Thomson Hall and the Sony Centre for the Performing Arts. Large and small theatres are located through the city, and in the summer, a number of theatrical festivals, such as Summerworks, offer the chance to see innovative pieces of work. Art galleries such as the Art Gallery of Ontario offer a selection of contemporary and classic art exhibitions. Museums offer a glimpse of local and global history. The Royal Ontario Museum, one of the most popular museums in Toronto, has been the host to many global exhibitions, including the Dead Sea Scrolls. Focus. Children and adults living in Toronto are lucky to have places like the Ontario Science Centre, the Canadian National Exhibition, the CN Tower and Canada's Wonderland (which is in Vaughan) close at hand. The Toronto Public Library offers programming and services for all members of the community. With 98 branches around Toronto, it is a busy and important resource for the city, and offers resources in more than 40 languages. Toronto is a city full of quaint neighbourhoods and gives its residents a sense of community and of belonging. For a city of that size, that is not an easy feat, but it is successful in Toronto. 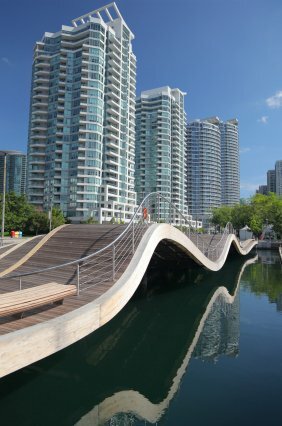 If you are considering a move to Toronto, there are a number of wonderful places to live. From north to south, east to west, there are neighbourhoods in every area that offer a newcomer the chance to fully experience a comfortable, vibrant and inclusive city life. Around the area of Spadina and Bloor is the neighbourhood known as the Annex. Vibrant, and full of history, it is an area that offers great shopping, beautiful houses, an assortment of restaurants and cafes, and a flourishing business culture. Located in the North York District, Don Mills is a mix of commercial, industrial and residential areas. Accessible off of the Don Valley Parkway, it is a wonderful spot for families, as it is situated in a greenbelt and has a number of walking paths throughout the area. A short trip to the downtown core, Rosedale is an established 100 year-old community where beautiful homes are peacefully situated in gorgeous parkland. Rosedale is a popular place for families to settle. Trinity-Bellwoods, which runs north to south between Dundas Street and Queen Street W, and west to east between Ossington Avenue and Bathurst Street, is a vibrant community influenced by the diversity of its residents. It is an area where one can visit small shops in Little Portugal, or stop by a trendy hot spot for a martini. Trinity-Bellwoods Park, a beautiful natural space, is a gathering place for residents, and hosts many activities throughout the year. Located in Central Toronto, Don Valley Village is a mixed income area. Its diversity makes it special, and is home to people from all over the world. Cabbagetown is a community that is a popular place to live in Toronto. It is a community that looks after its residents, operating a number of community-based programs for all ages. It is home to people of various income levels, backgrounds and lifestyles, and it celebrates its diversity. Little Italy, also known as College Street West, started as a large Community for Italian newcomers in the 1920's. Now, it is a neighbourhood that boasts residents from around the world. A north Toronto neighbourhood, Yonge-Eglinton is centred around - you guessed it - Yonge Street and Eglinton Avenue East. The area is an important business hub for the city, but it is also an area that holds on to the charm of a small community neighbourhood. Many families settle here, as there are a number of schooling options, recreational opportunities, and well-located access to the TTC. Toronto is a big city, both in area and in population. With its close connection to municipalities such as Mississauga, it seems even larger. Moving millions of people around daily in an efficient way is a necessity. Luckily, getting around Toronto and area is easy. Toronto's public bus system, The Toronto Transit Commission, known as the TTC, is a network of different modes of transportation that stretch across the city. 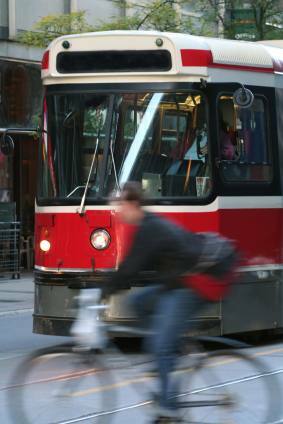 The TTC subway system, bus system and streetcars are all connected to accommodate the needs of all users. The TTC ensures accessibility for all of its riders. GO Transit, "GO" standing for Government of Ontario, connects cities, towns and suburbs in the GTA. GO Transit offers a network of buses and trains for commuters. If traveling on the TTC, you can connect with the GO Transit at designated GO stations throughout Toronto and area. This makes traveling from Toronto for work or play an easy and comfortable part of the day. Union Station, situated on Front Street in downtown Toronto, is a major transportation hub for the city. Opened in 1927, it is a beautiful example of Beaux-Art style. If you are taking a train to other parts of the country by Via Rail, or travelling to the United States with Am Trak, you will start your journey, or make a connection, at Union Station. GO Transit trains also run out of Union Station, travelling several extensive routes to other parts of the GTA, west and east, and to other regions as far east as Peterborough County, and as far west as the city of Kitchener-Waterloo (in Wellington County). The downtown GO bus terminal is a short walk from Union Station, and travels to the same destinations as GO trains, plus areas that are not served readily by train service. Highway 401 runs through the GTA, including through the city of Toronto, Within Toronto, there are access points to other major routes off of the 401 West and East, including Highway 403, 407, the 427 (also known as the Gardiner Expressway) and Lakeshore Boulevard. Toronto's public schools are under the jurisdiction of the Toronto District School Board, while Catholic schools, both English and French immersion are served by the Toronto Catholic District School Board. There are also a number of private and independent schools in Toronto, including Havergal College, an all girls' school, and Upper Canada College. There are also a number of private schools that are focused on providing schooling to specific cultural communities. Toronto is also home to several "alternative" schools, encouraging independent and student-driven learning, facilitated by the schools' teachers and community mentors. Toronto's post-secondary institutions attract people from all over the world. The University of Toronto is highly-respected, and consistently ranks within the Top 5 universities in Canada. Ryerson University is a polytechnic, offering highly sought after degrees in arts, sciences and communication. York University prides itself on its research facilities and concentration on social and globally-focused initiatives, while boasting a large number of graduate degree programs. Toronto it home to five well-known colleges. Seneca, George Brown, Centennial and Humber Colleges offer diplomas and degrees in arts and technology, social services, and communications, among other opportunities. Toronto offers a world of opportunities for newcomers to settle, meet new people, and have new experiences. It is a great place for individuals, families or retirees to live work and play.